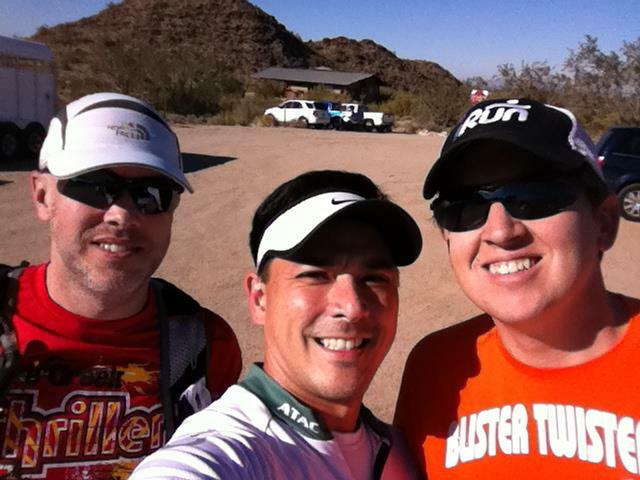 The roots of STTR date back to 2012 after 3 random guys meet on course at the San Tan Scramble. "Hey, we're passing the Ironman" I heard them say...I was having such a crappy run. I ultimately DNF'ed (my first ever) and sat at the finish line wallowing in my failure. Greg and Marc finished and came over to console me and we instantly hit it off. After several months of running together and meeting up, the idea for the San Tan Trail Runners was born. Who's the newb trail running in his cycling jersey? You won't find a more awesome group of people in all of the East Valley except right here! I love that every single person represents our group and sport with integrity and that we all just love to have fun. We are actually friends both on and off the trails. We have social events a couple times a year. We nosh breakfast burritos most Saturdays after group run. We brew and drink copious amounts of beer. 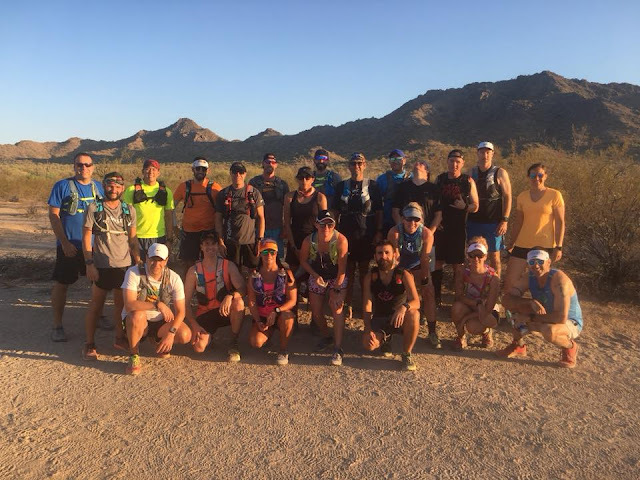 Whether you're just starting on the trails, looking for training partners or setting your sights on a new distance - this group has a wide range of experience and ability levels. Though we spend most of our time on the trails of San Tan Regional Park, we make sure everyone gets to enjoy the vast number of trails Arizona has to offer. Check out the many ways to connect with us. 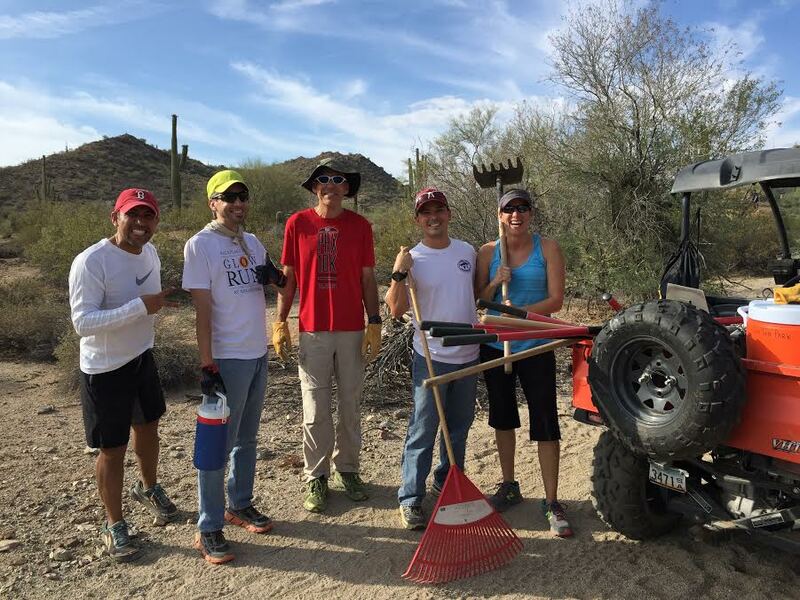 Be a part of the San Tan Trail Runners! 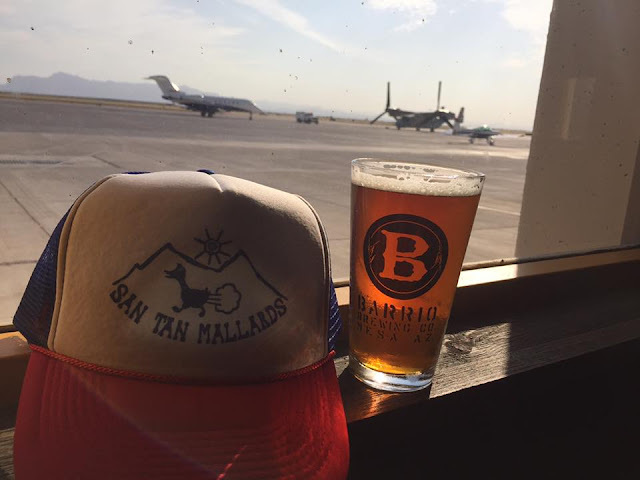 Showing the San Tan trails some love!